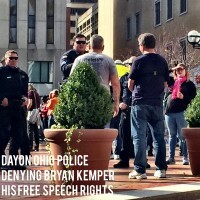 Dayton Police ThreatenTo Arrest Stand True President, Bryan Kemper For Simply Standing On Public Property And Pro-abortion Activist Mock His Ten Year Old Son. 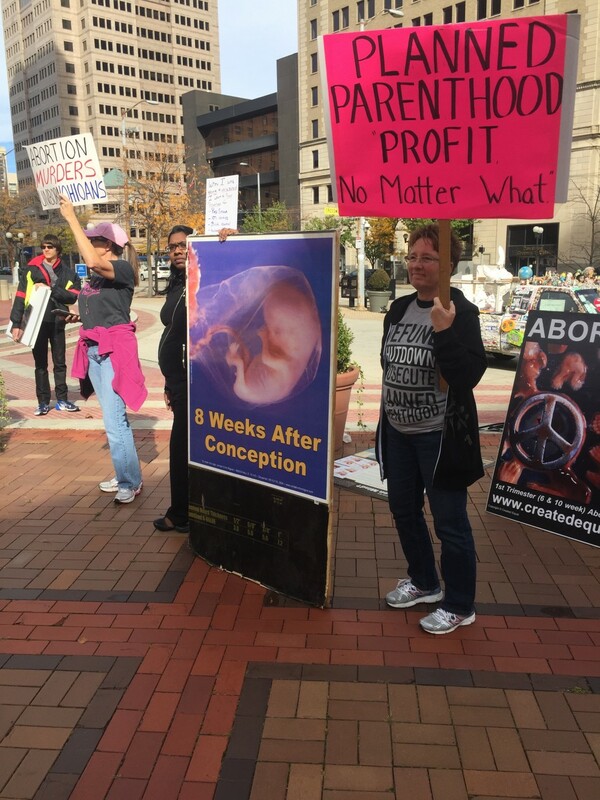 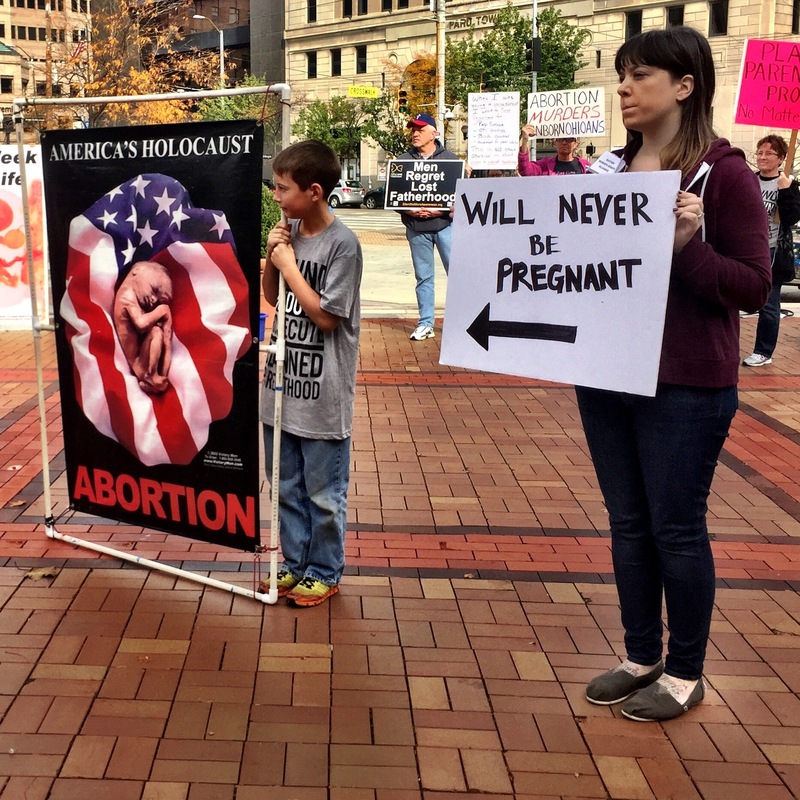 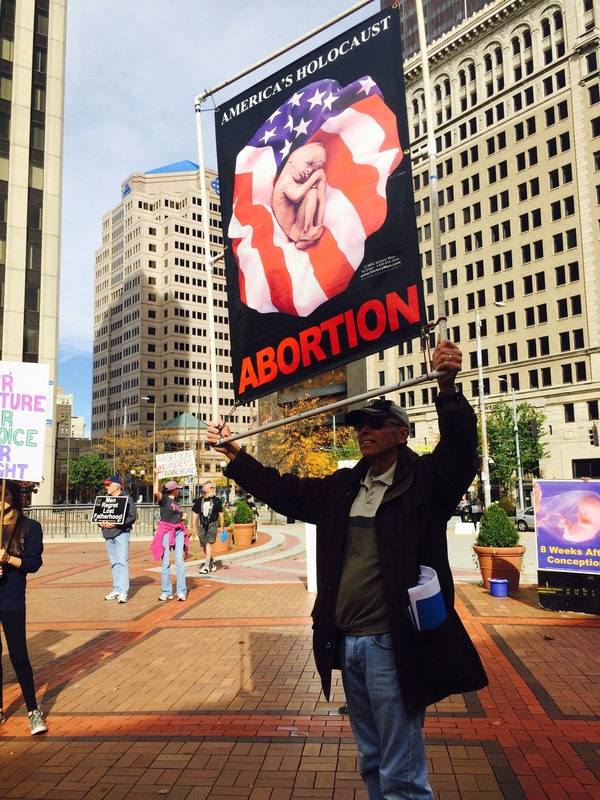 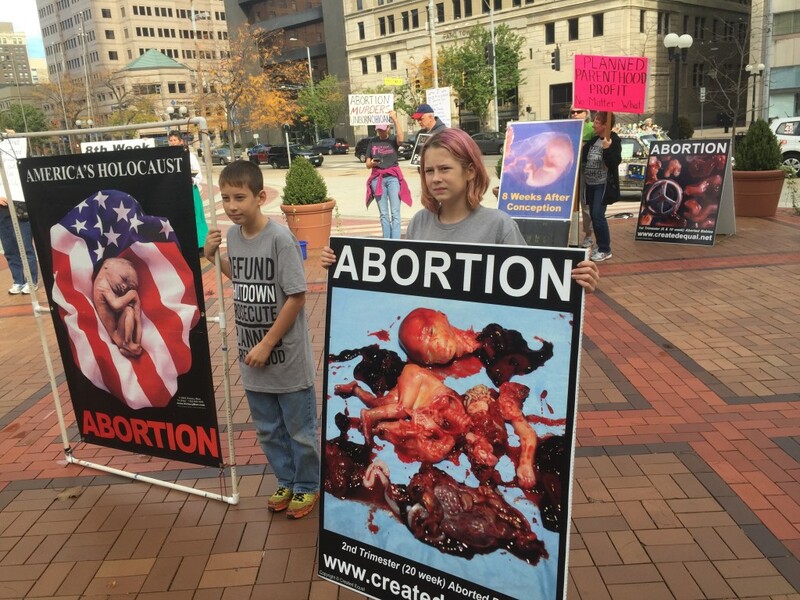 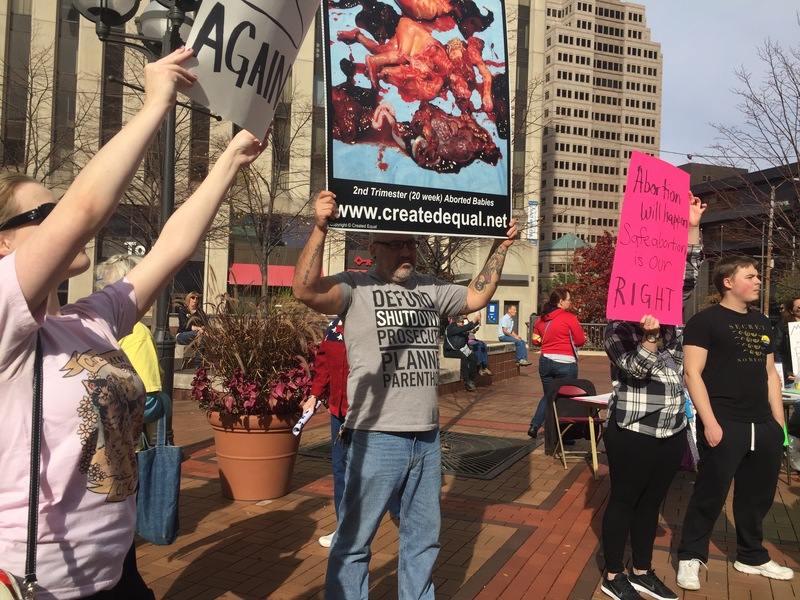 On Sunday, Nov 1st, Stand True President, Bryan Kemper and two of his children joined local pro-life activists in exposing the truth at a pro-abortion rally in Dayton, OH. 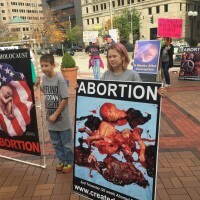 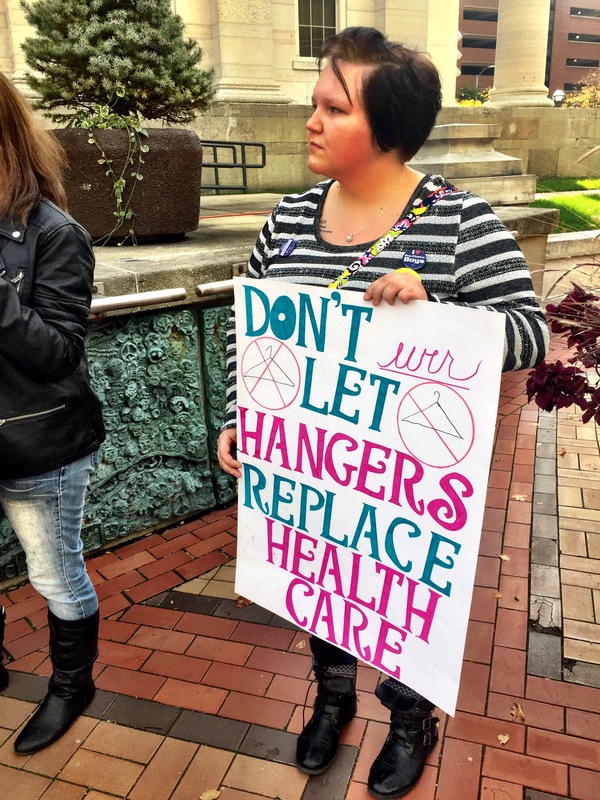 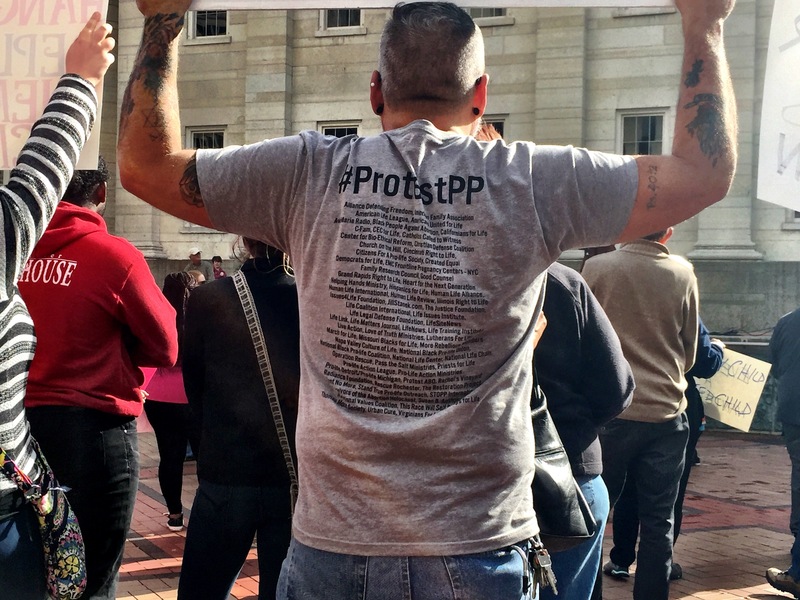 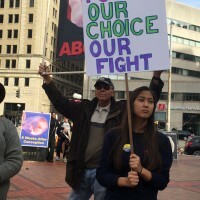 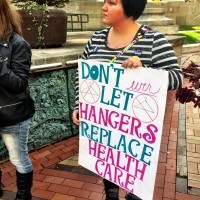 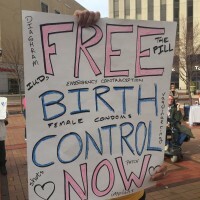 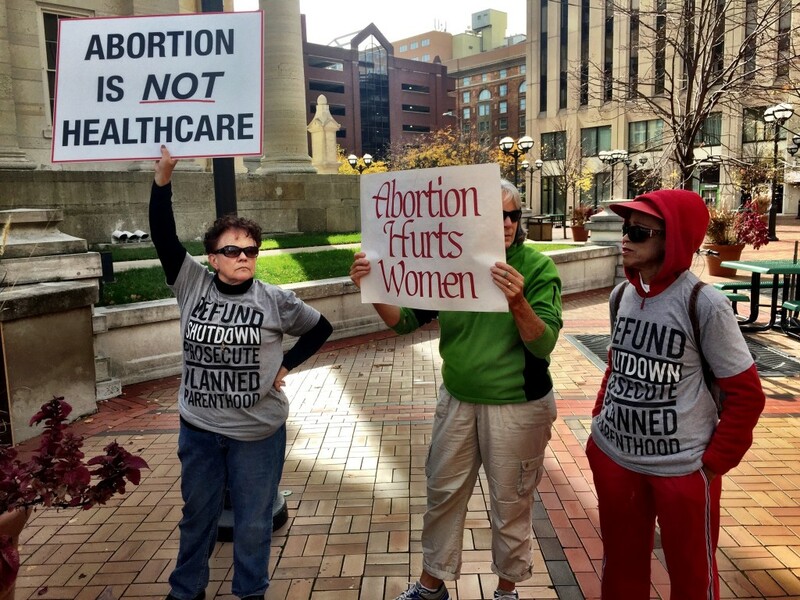 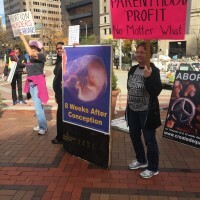 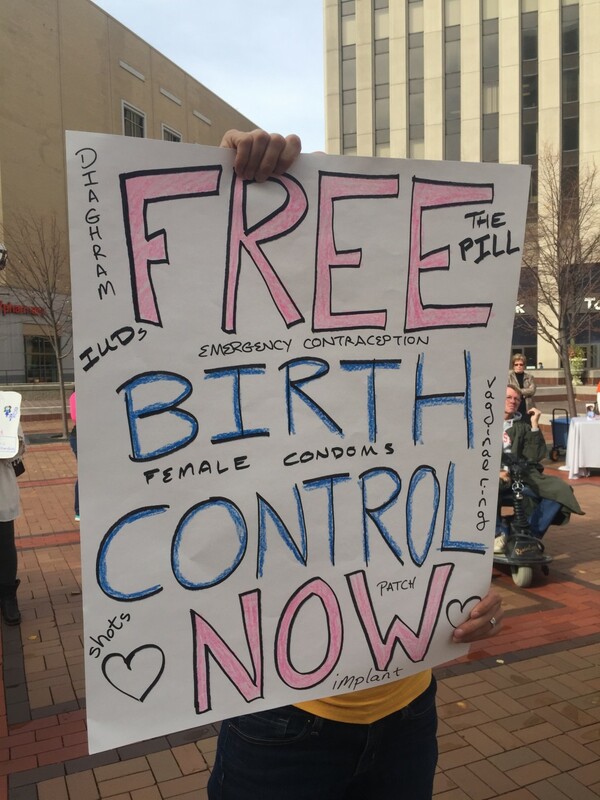 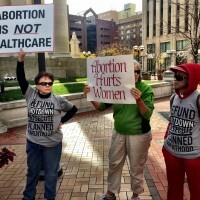 The rally was a celebration of years of child killing by Planned Parenthood and other abortion facilities in the Dayton area. 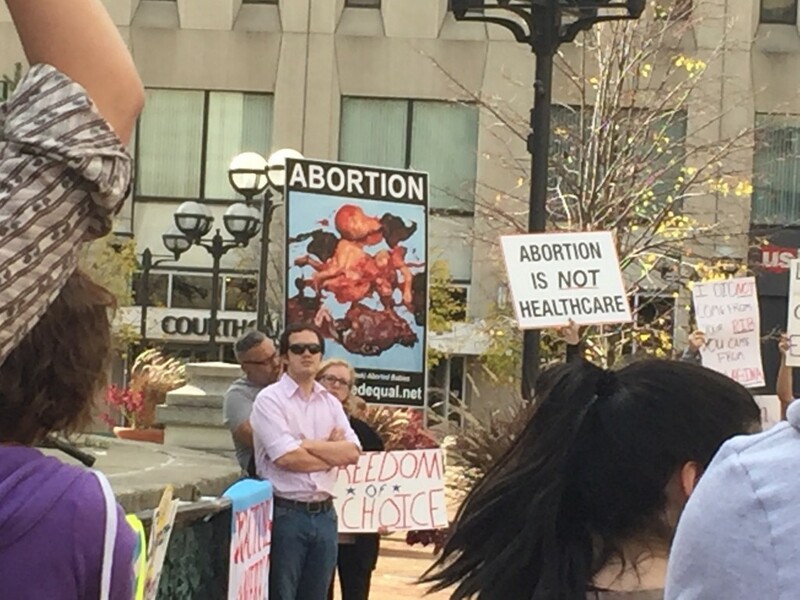 About 20 peaceful pro-life activists came to the rally to show exactly what they were celebrating and to to expose the darkness of abortion. 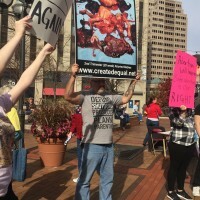 The activists were peaceful and respectful of the crowd, not interrupting the rally but simply showing them what it was exactly that they were promoting and celebrating. 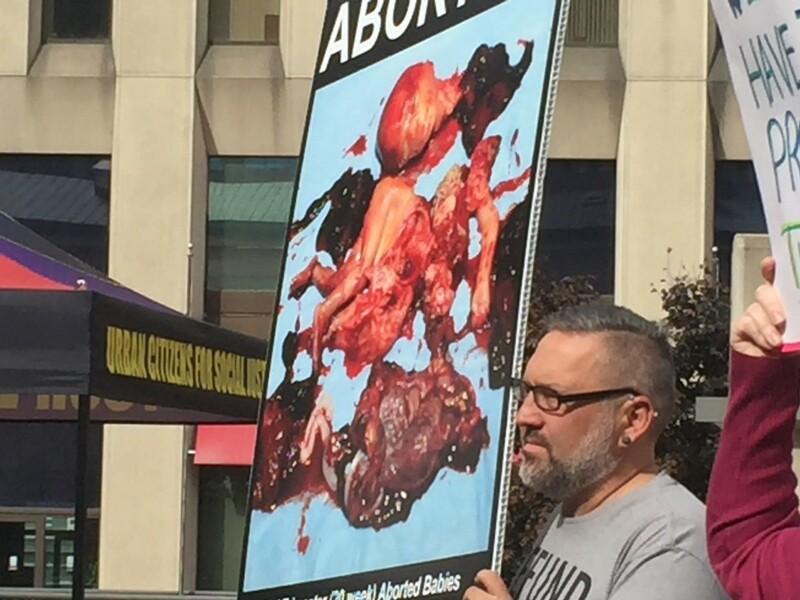 Bryan, his children and several of the activist held up images of the victims of abortion who were being dismissed as merely “choices” by the speakers at the rally. 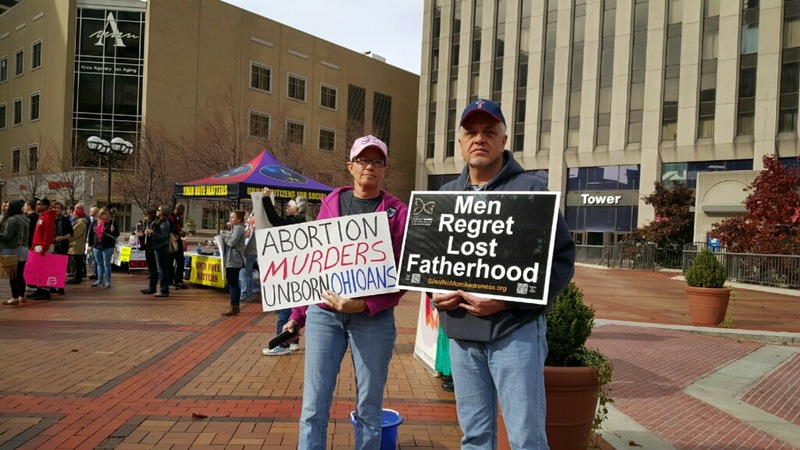 They wanted to give these victims the dignity of being recognized as the human persons they are. 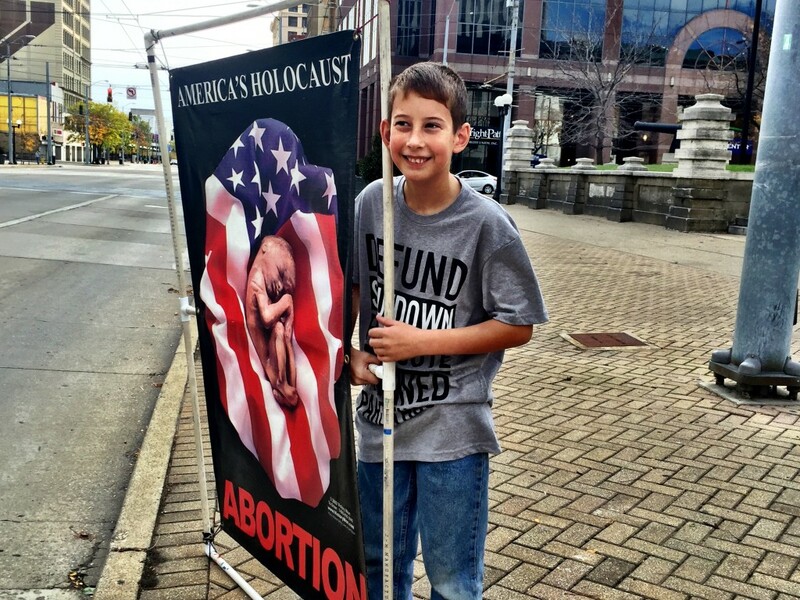 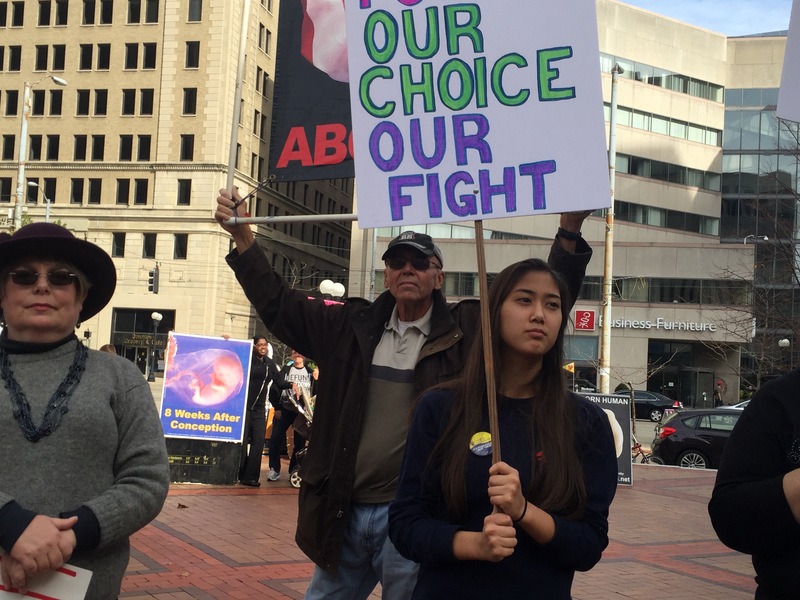 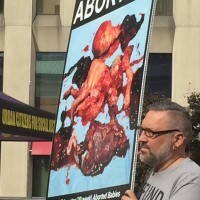 At one point in the rally, Bryan’s ten-year-old son, Jaemison, who had asked to come along and protest, was holding a sign that he had picked out, when a pro-abortion protester decided to target and mock him. 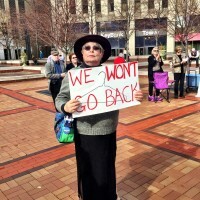 Jaemison did not waiver or even give this person a second thought; he just continued to stand and show the truth without fear. 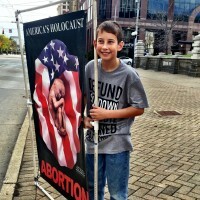 Jaemison is a true hero and a good representation of the pro-life generation that is emerging more and more. After about an hour at the rally, Bryan put down his sign to walk around the Courthouse Square, a public area in Dayton, to take photos of the rally. 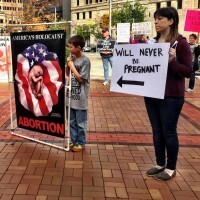 The Dayton police were called to remove all pro-lifers from this public area. 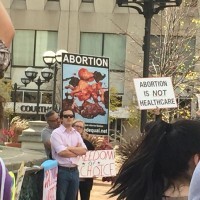 While the rally organizers had a permit to gather and hold a rally, they did not have ownership of this public square but the police demanded all pro-lifers leave and go to the sidewalk area outside the Courthouse Square. 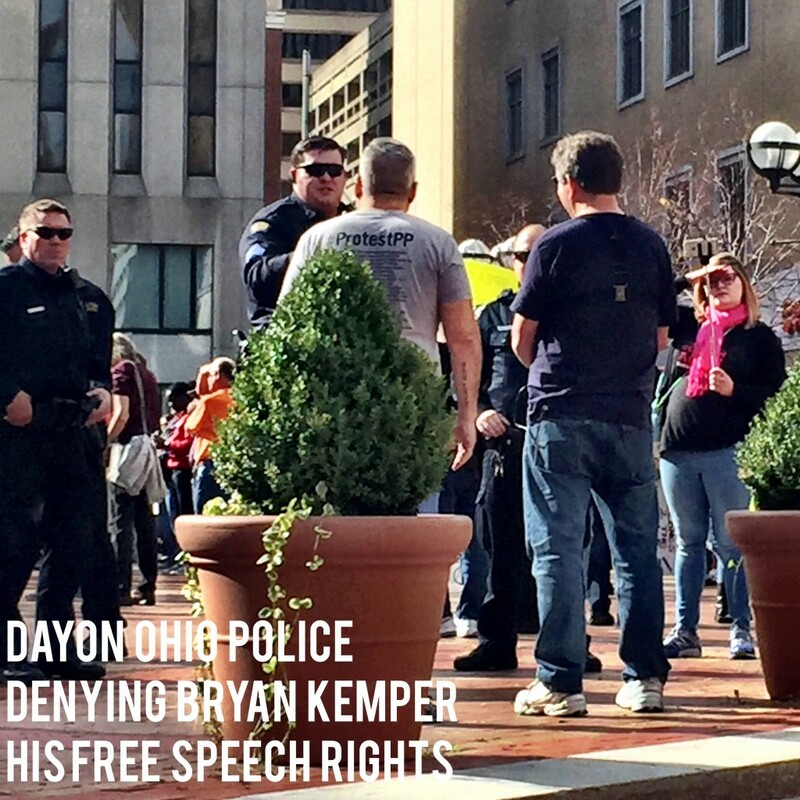 Because the officers were claiming that he couldn’t be there even though he was not protesting at the time, Bryan approached them to ask why they were denying him access to public property. 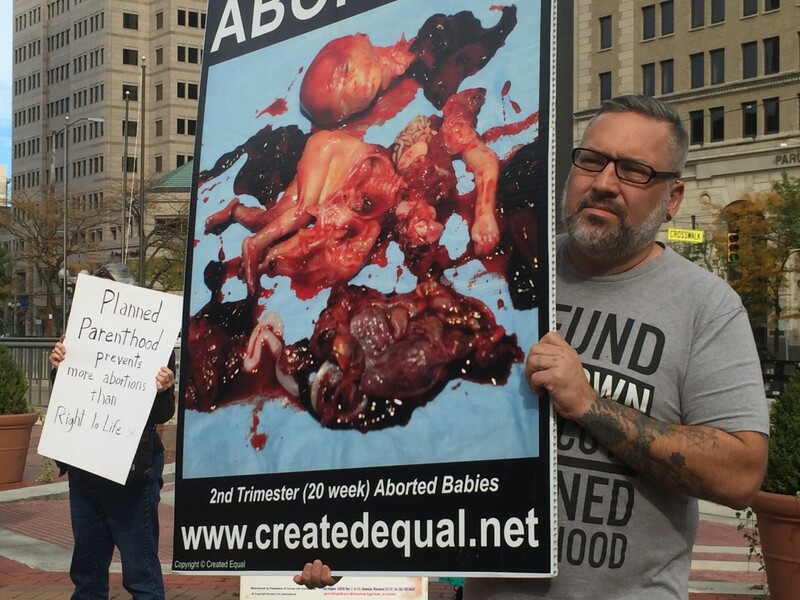 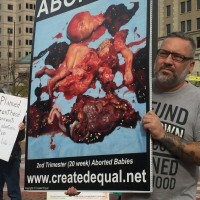 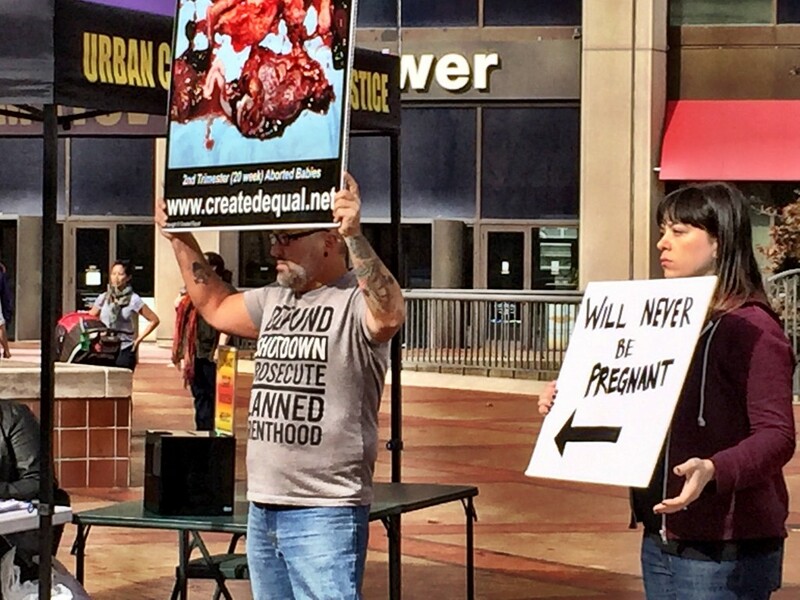 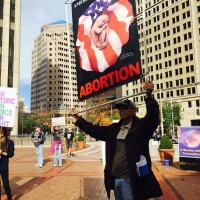 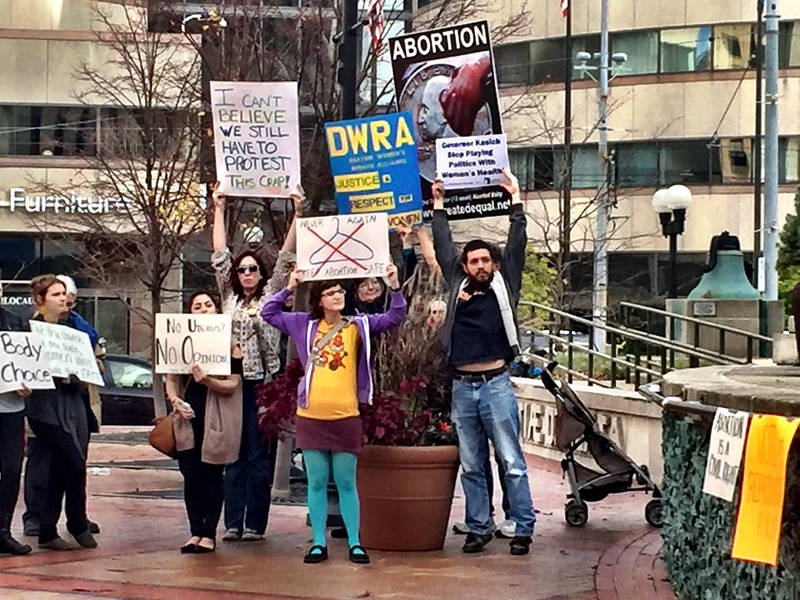 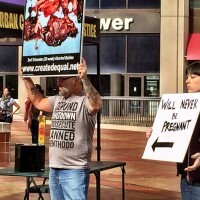 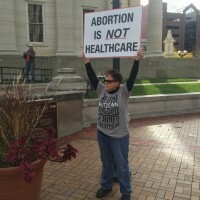 One of the pro-abortion protesters claimed that his pro-life shirt constituted a protest sign and disqualified him from being in the public area. 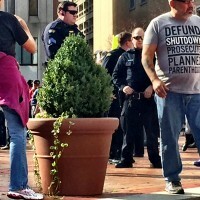 The officer mocked the pro-lifers and said, “it’s Sunday. Normal people are out enjoying the day, not causing problems”. 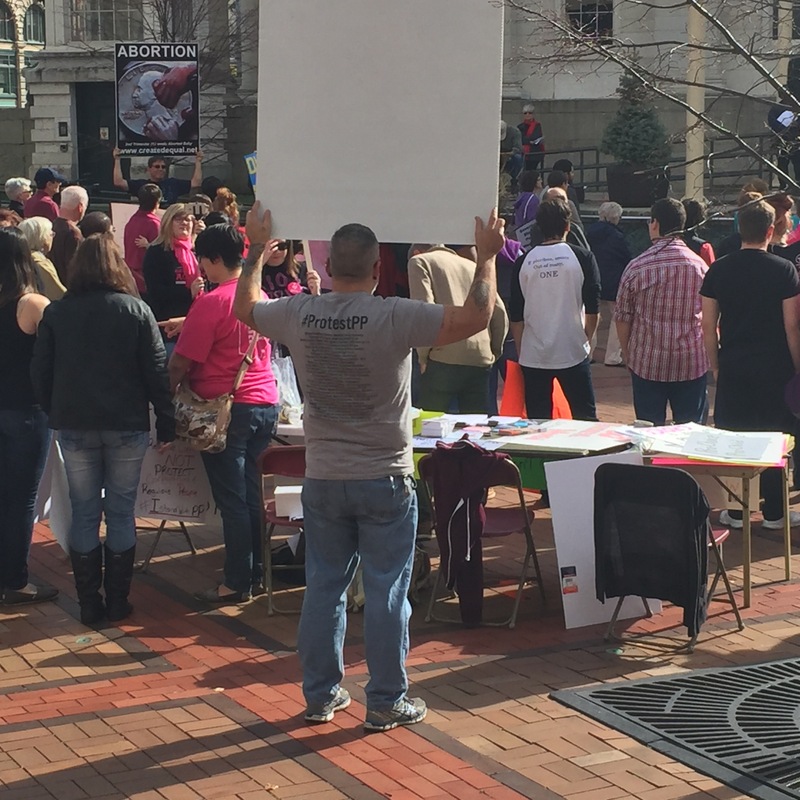 When Bryan tried to explain that he had no sign and was not protesting, the officer said, ” I don’t care. 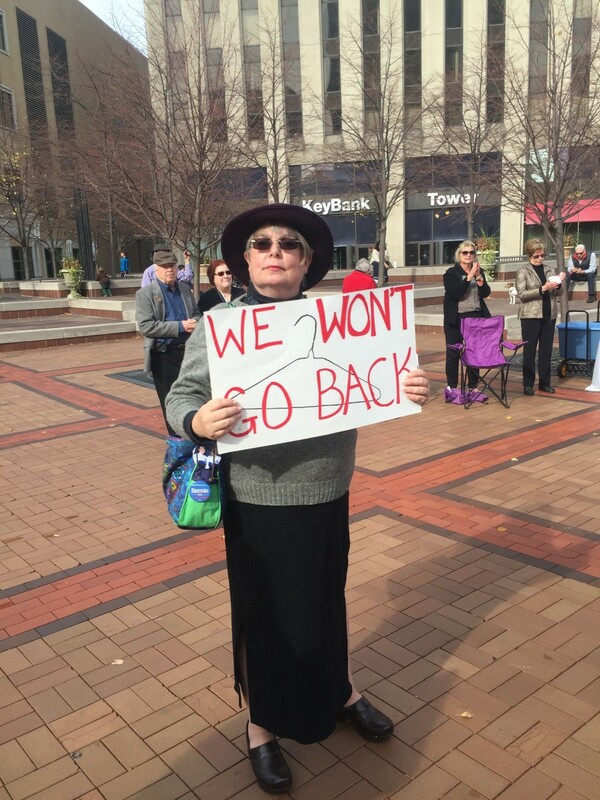 You go over there”. 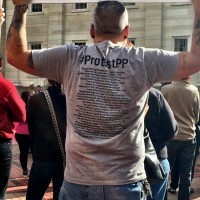 The officer also admitted that there was no copy of the permit on hand, and that he could not show it to us as he did not have it, yet he still kicked us off public property. 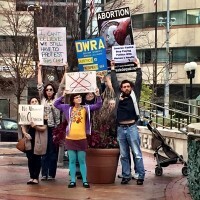 Please pray for these activists as they seek legal advice on what there next step is in dealing with this injustice. 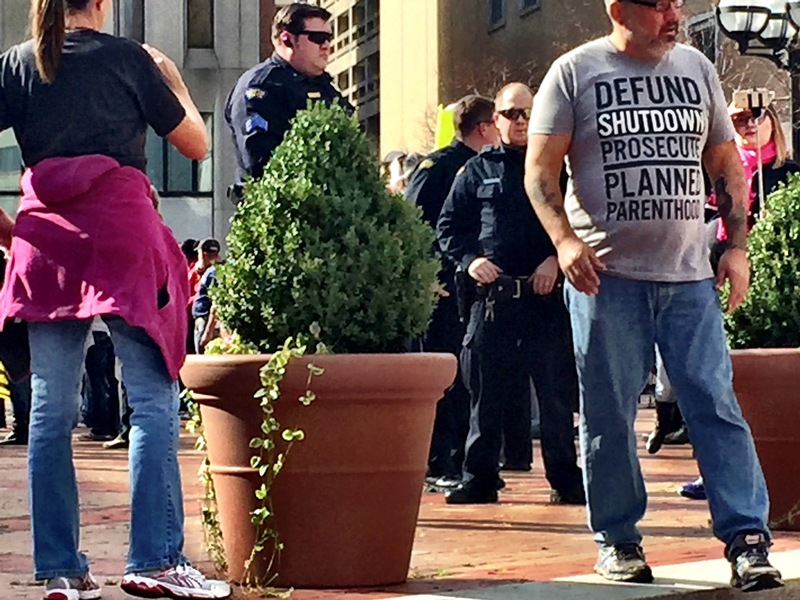 The police may have denied them of free speech rights, but they will never be silent and will continue to stand for those without a voice. 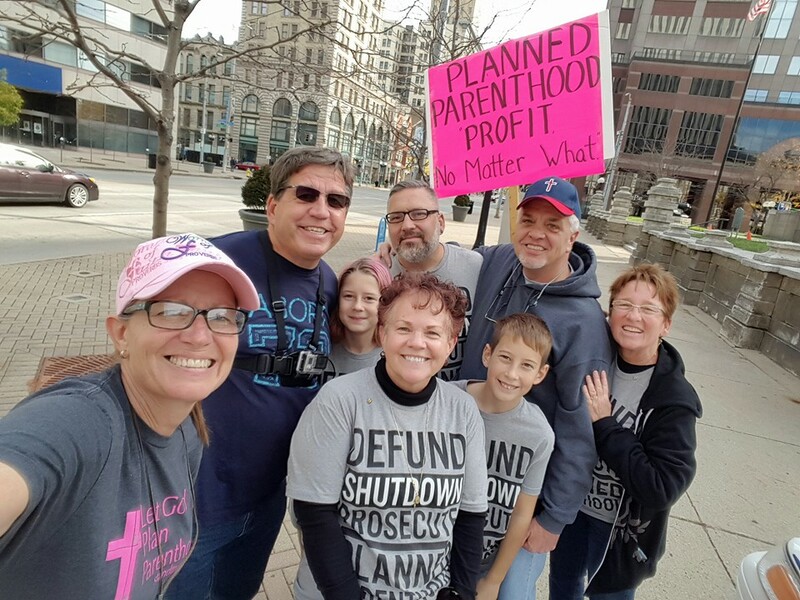 All Donations to Stand True in the month of November being doubled up to $4,000 by a matching grant, please consider supporting our work today. 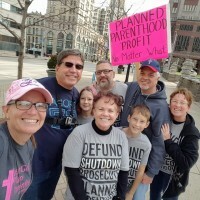 Please click here https://give.cornerstone.cc/Stand+True and make a $10, $25, $50, $100, $1000 donation. 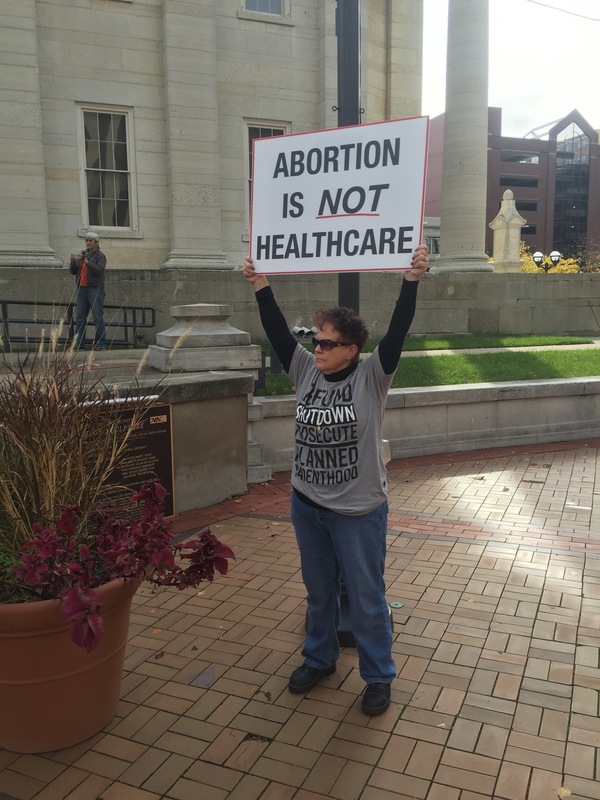 Donations can also be mailed to Stand True – PO Box 890 – Troy, OH 45373 or call 540-538-2581 to donate by phone. 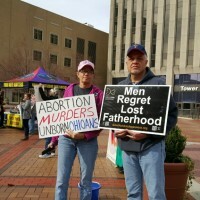 What ever you can give will help us fight to end abortion.